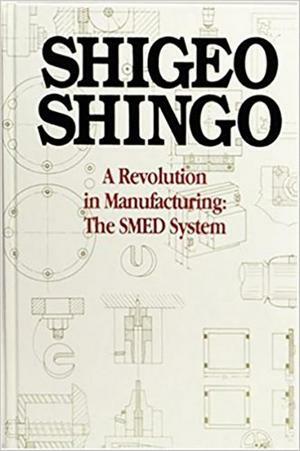 Written by the industrial engineer who developed SMED (single-minute exchange of die) for Toyota, A Revolution in Manufacturing provides a full overview of this powerful just in time production tool. It offers the most complete and detailed instructions available anywhere for transforming a manufacturing environment in ways that will speed up production and make small lot inventories feasible. The author delves into both the theory and practice of the SMED system, explaining fundamentals as well as techniques for applying SMED. The critically acclaimed text is supported with hundreds of illustrations and photographs, as well as twelve chapter-length case studies.